*Win* with Yogihair and 72hair for a great hair day! 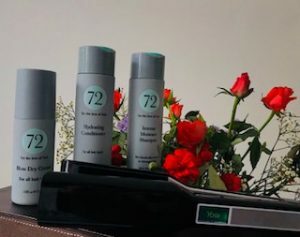 #WinitWednesday with 72 hair and Yogi Hair. For #WinitWednesday we have teamed up with 72Hair to make sure you have a great hair day! 72 Hair Intense Moisture Shampoo, Hydrating Conditioner and Blow Dry Cream plus a Yogi Smart Touch X Straightener Wide. Must be 18+ and UK based to enter. Enter our competition at our Instagram @yogihairwand to be in with a chance of winning. We will be in touch for the full name and post town of the winner, No further correspondence will be entered into. There is no obligation to order to enter. Employees of Yogi hair, 72 Hair and their families are not eligible to enter. By entering our prize draw, acceptance of the rules is implied. We reserve the right to substitute any of our prizes for equal or greater value. Closing date is midnight 24.04.18. The winner will be drawn at random from all valid entries received and will be notified via Yogihair Instagram page within 7 days of entering. You must be 18 or over to enter the prize draw. By entering our prize draw and giving us your contact details, you are agreeing to us having your name and address for prize dispatch.